Simple guide on how Crowns and XP Works. To start off, Crown and Xp can be earned by playing the game (no really). Crown is acquired by multiplayer and bot matches, Fortunates cards, Account Levelling, Mastery Levelling, and Win of the day Bonus. While Xp is Gotten by Matches and Fortunate cards only. 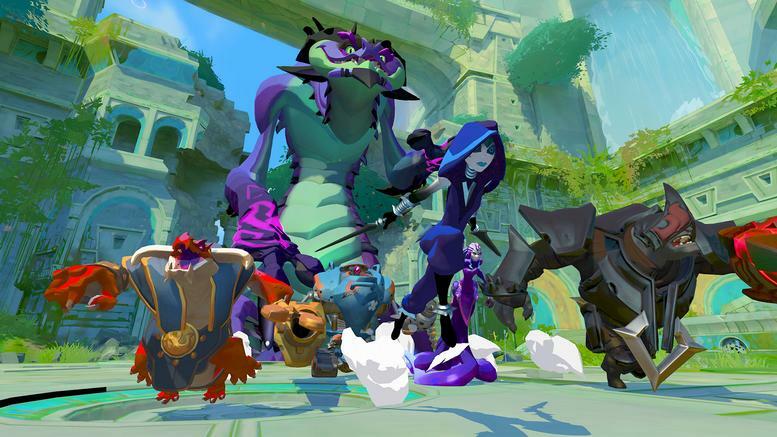 In Gigantic the Currency are called Crowns, at the very beginning of your Gigantic experience, after completing the tutorial and doing a few bot matches you can get a huge sum of crown in a very short amount of time. By Huge I mean around 5000 crowns. I advise that you do not waste it, crowns can be used for many things like Getting new heroes, getting new creature (extremelly useful), and getting skins. After These "few matches" you will unlock multiplayer, Which obviously will grant you much more Crowns and XP than playing with Bots. But you will notice that a multiplayer match takes a lot longer than a single bot match only for Around 30 more crowns. But the XP gain is more than the Double the amount if you win. The easiest and Best way to get Crowns is with Boosters Which I talked about at the Very end of this guide since they use Rubies which is the premium currency for Gigantic, However you can get a pretty good sum of Crowns with Fortunate Cards ; Which are acquired by a Daily Free Draw, Account Level, Heroes Mastery Level, Or can Also be acquired With Rubies(not recommended).Fortunate cards are challenges that once completed will grant you Xp and Crowns. Amount of Crown and Xp gained differs on how Hard the Challenge is. After you hit Level 11 your Crown gains and XP gains will take a huge penalty for Bot matches. Before level 11 you get +70 crowns and +225 Xp per Win. And we all know that 1 bot matches takes 1/5 of the time of a single multiplayer match. After Level 11 you will only gain +26 crowns and 113 Xp per win with bot matches. (Note: In the shop, crown boosters says it'll give you 3.5x more gold. This statement is for some reason not on point. I found this Formula is more on point which is where the 142.5% is coming out of. (Crowns gain from match x 2.425) = what the booster gives you. Exemple : Last game I played I gained 95 crowns. Game told me if I had a booster it would've been +230 crowns meaning a grand total of 325. But if you do 95 x 3.5 it would've been 333 Crowns meaning their maths is slightly off. but if you 95 x 2.425 = 230. 95 + 230 = 325. Congrats if you understood that .-.